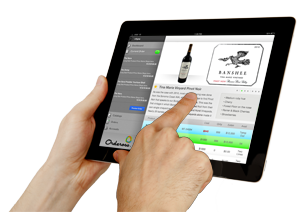 At Orderoso, we have the chance to observe the methods of some of the industry’s top sales reps. One tool we commonly see these reps utilizing is customized sell sheets which present content about the wines being shown. These materials not only help reps close sales, they are also used by the buyer in marketing and in education of staff. Our latest release included a sell sheet configuration tool to help reps capitalize on this technique. 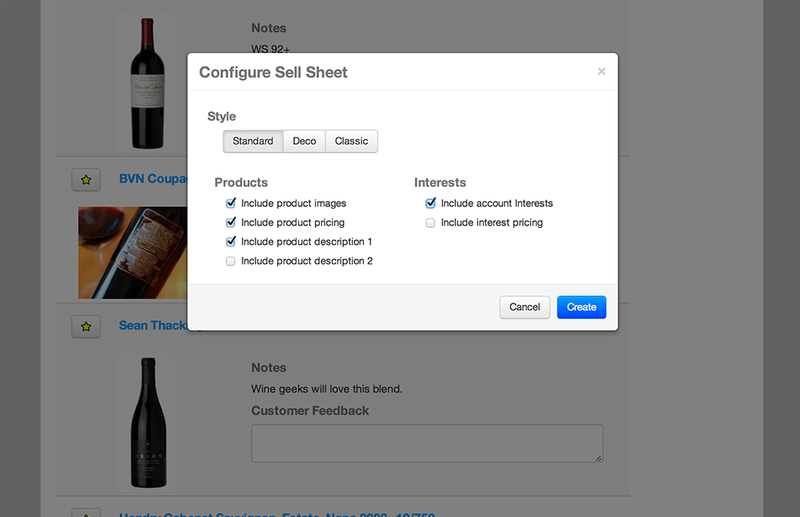 Reps can now convert an existing presentation into a sell sheet while optionally including pricing, product descriptions, product images, and customer interests. 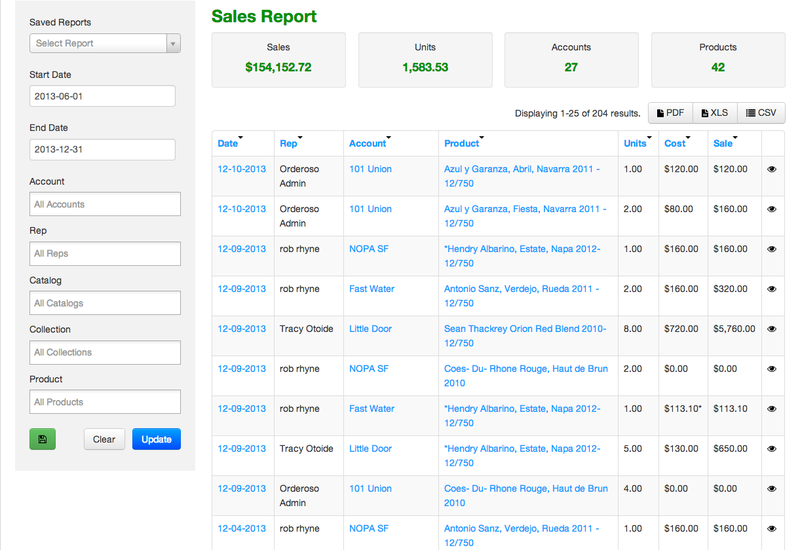 Once the content has been edited and saved, users can print these sheets for leave behinds or email them to buyers. 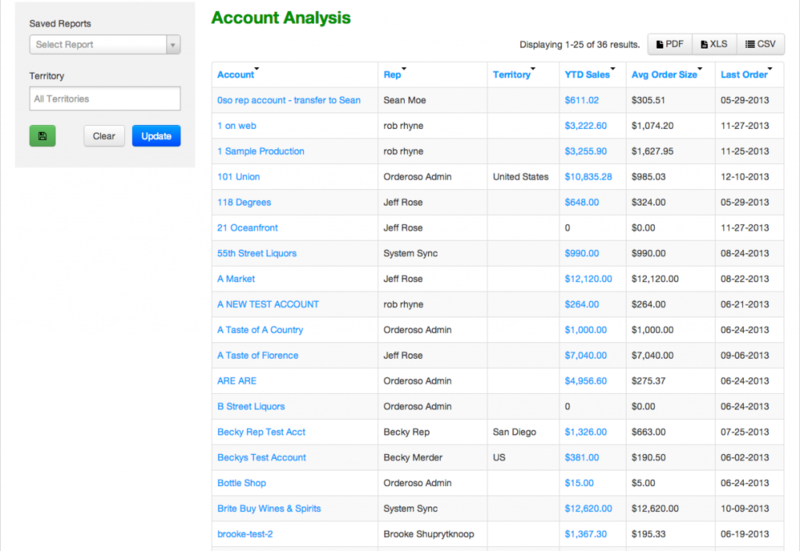 Additionally, we now track views of these emails so you can gauge buyer interest. You can now save the sell sheet as a PDF for printing or email the document to your customer with the “Print” and “Email” buttons in the top right of the sell sheet page. When you email the sell sheet, the customer receives a link where they can view and download your document. 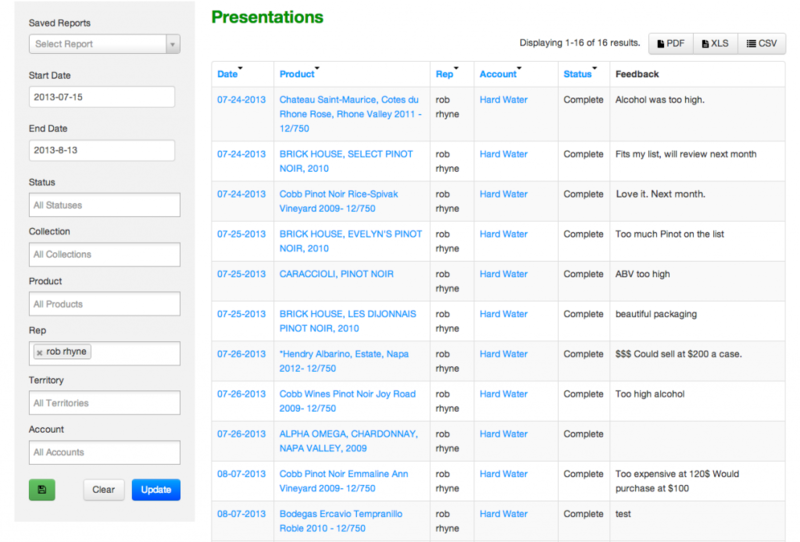 This view is tracked, so you can gauge customer interest in your work. To view tracking information, load the presentation and click the Sell Sheet button. If a sell sheet has been created, this area will provide the time sent to the client and the time the sell sheet was viewed. 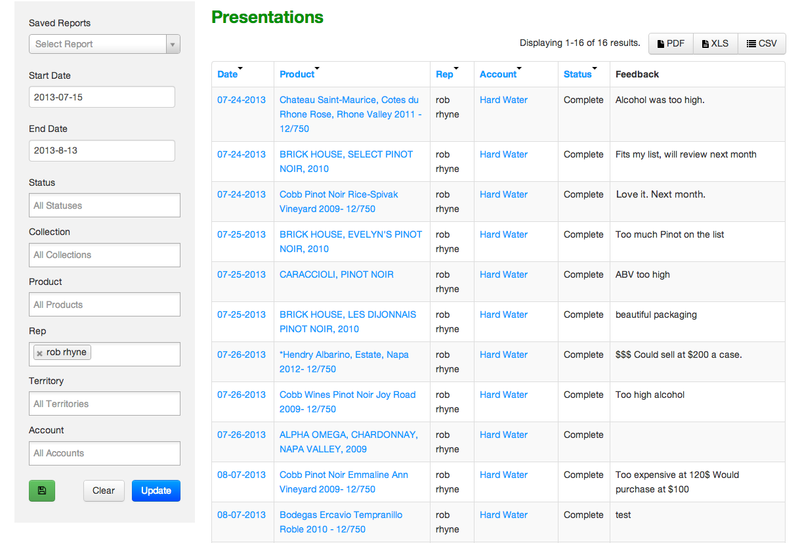 You may also click through to the sell sheet itself to view time sent and viewed. 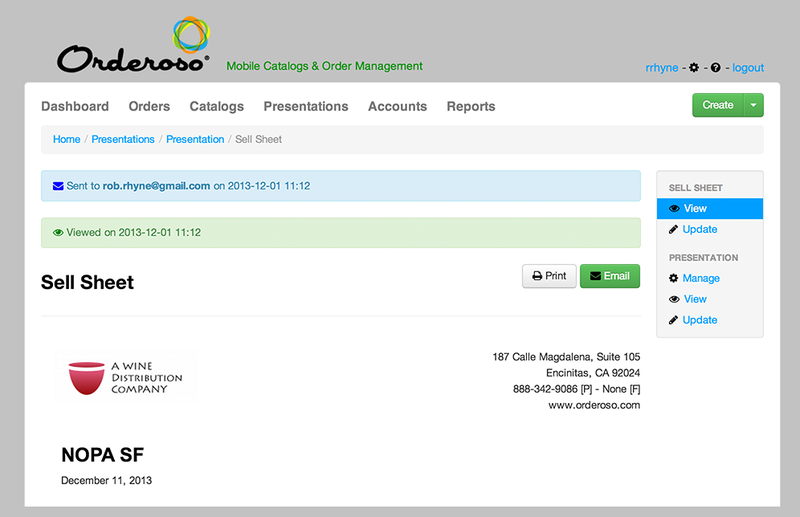 This entry was posted in Marketing and tagged crm, presentations, sell sheets on December 5, 2013 by osoblog.